Want to make 2016 your little one’s best birthday yet? 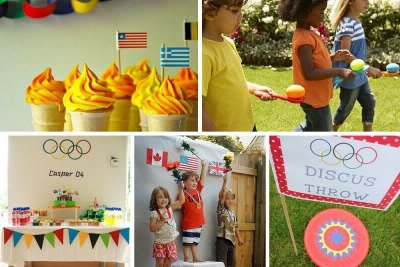 Create your own unique party theme by taking their favourite sport and putting a celebratory spin on it. Plenty of activities, playful decor and unforgettable memories for years to come. Not sure where to start? We’ve got plenty of ideas for you to sink your teeth into. Olympic fever is sure to be in the air this summer. With the upcoming 2016 Brazilian extravaganza around the corner, why not throw an Olympian-themed bash? It’s an easy way to engage children of all ages and abilities in a fun, active way. On arrival, split the children into groups to represent different countries. Then kick off the fun and games with a number of different events: relay race, ring toss, sack race, frisbee-throwing, hula hoop contest, egg and spoon race, shot put coin toss… the list goes on. Don’t forget the all-important medals for the winners (to avoid tears, make sure there’s one for everyone!). To decorate, plenty of bunting won’t go amiss, as well as the infamous Olympic rings taking pride of place above the refreshment table. How cute are those ice creams? They’ll go down a storm. If your little one is a natural fish to water, make a splash with a fun-filled swimming celebration. Head to your local swimming pool for an afternoon of water-based games and a mountain of inflatables to play with. Once your time in the water is up, the next part of the fun begins. Carry on the aqua-filled day with an under-the-sea theme. 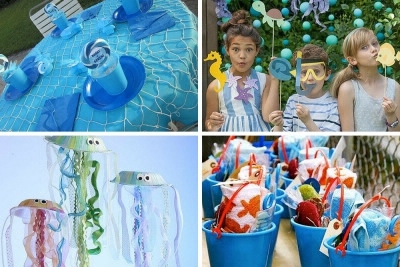 Homemade jellyfish are easy to make and there’s plenty of ways to get creative with your table settings; casting a net across is just one simple way to make an impact. We love the idea of setting up a photobooth for all the kids to creative in - provide plenty of props and a backdrop and you’re good to go. Finish the party in style, ditching traditional party bags for playful party buckets instead. Is your babe a bit of a twinkle toes? 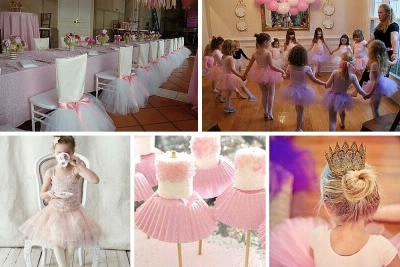 They’ll love a ballet themed birthday celebration. Decked out in tutus and leotards, the children learn routines to all of their favourite pop songs from their very own Sugar Plum Fairy. The grand finale? A spectacular performance to the parents. Don’t forget to make time at the beginning of the party for a ballet beauty session - think plaits, buns and glitter galore. When all the little ones are tired out from all the toe-tapping, put on a feast of themed sweet goodies, from dressed-up marshmallows to a pink-hued cake topped with a pair of marzipan pumps. 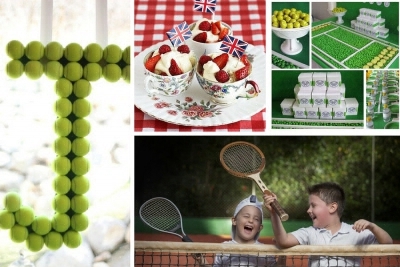 Nail two themes in one by going for a tennis birthday party with a Wimbledon twist. Start the day with a mini tournament, with plenty of fun team games for everyone to take part in. Pay homage to the legendary British tournament, serving up fresh strawberries and cream with homemade lemonade - there will be a lot of hungry tummies after all the running around! We love the idea of fashioning a personalised letter of the birthday boy or girl’s name out of tennis balls - are you ready to get creative?